Reposition cruises are voyages that take place when cruise ships relocate from one region to another, typically in the spring and autumn. These cruises are offered at discounted rates often 50% less than a regular cruise, so they can be an ideal way to travel on a budget. Another bonus is that repositioning cruises are often less crowded. Typically repositioning cruises travel between two diverse locations, like Alaska to Hawaii or Europe to the Caribbean, allowing travelers to come along so the cruise lines do not sail empty. The cruising experience is very similar to a traditional cruise, in that passengers have access to all the same amenities and accommodations including meals and entertainment. Some trips even stop at several ports along the way breaking up the trip. However, it is important to note that the majority of the trip will typically be spent at sea. 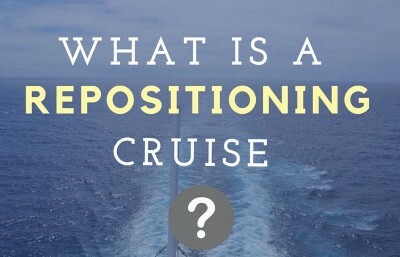 It is also important to note, a repositioning cruise will only take you one way, you will need to find transportation back from your end destination. Colon, Panama is a popular port for repositioning cruises making Panama an ideal place to jump on the repositioning cruise bandwagon. So if you are looking to travel to, or from Panama, and have some time to get to your final destination you might want to consider a repositioning cruise! The Monarch, part of the Pullmantur fleet will be departing from Colon Panama on May 10th 2017 and cruising for 15 days to Lisbon Portugal. Stops along the way include Cartagena (Columbia), Phillipsburg (St Maarten), St. Johns (Antigua) and Funchal (Portugal). Several Coronado residents are working together to get a group rate for this upcoming repositioning cruise. Rates start at $195 and go up to $1049 per person. Additional charges include $270 in taxes and port fees along with $225 for gratuities for the 15 days. To receive the group rate a deposit of $40 is required before Oct. 10th and the remainder is due 45 days before the departure date.